HomeTrex by BestInspectors.Net is the world’s most advanced home and commercial inspection report writing system. HomeTrex uses State-Of-The-Art technologies such as Active-X and VBA to deliver the most efficient, cost-effective and user-friendly report writing experience ever. Whether you are working on a desktop or doing your reports in the field on a Tablet, Laptop or Netbook, HomeTrex is equally at home and equally capable. Completely customizable, HomeTrex is the ideal solution for all your inspection needs from standard home inspections to the most complex commercial inspections. Build an unlimited number of templates for all your inspection reporting needs. The massive capacity Comments and Nomenclature Library contains 428 categories, all of which are completely customizable. HomeTrex’s advanced report writing features such as the amazingly powerful Category Assignment Tool and the Comments Library Assembly Wizard not only make report writing and creating templates easy, they make them enjoyable to do. If you like taking pictures, you’ll love HomeTrex’s photo capabilities. For starters, you can add an unlimited number of pictures to any report. Adding the pictures is as easy as it can get. You don’t have to do anything to ensure proper sizing and placement of photos except click a button. Photos are automatically sized and positioned in the report for you. Annotate pictures with arrows, circles or any of a variety of other annotation elements such as offset arrows, curved arrows, callouts and boxes. You can even put text boxes directly on top of a photo. Whether you prefer a checklist or a narrative style report or something in between, you can have it with HomeTrex. For those who want a pure narrative report, HomeTrex allows you to remove all checkboxes with a single menu selection. If you want them back, you can bring them back with a single menu selection too. HomeTrex’s Total Control Summary does just as the name implies. It gives you complete control over what goes into your Summary section. The Color Words feature allows you to have comments that will always appear in one of three colors – Red, Blue, or Green – any time they are placed anywhere in the report.  The list of features found in HomeTrex seems endless. One thing is for sure. 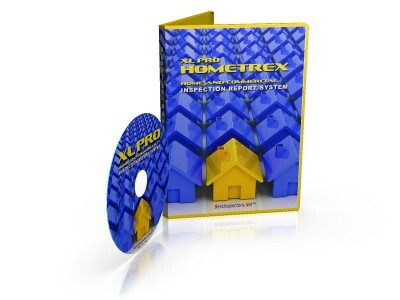 No other inspection reporting system brings the value to your business that HomeTrex brings.